Mark Twain said there’s no such thing as a new idea. Although he hadn’t used a smartphone or surfed the internet, he’s mostly right. Existing services and products, even mundane ones, often present great opportunities. In fact, many high-profile entrepreneurs and pioneers of innovation have found huge success by retooling old businesses or carving out their niches within them. Consider Airbnb’s entry into travel accommodations, for instance. That company’s resounding success is an excellent example of a new approach within an established business category—in Airbnb’s case, hotels, an industry mentioned in the Bible. Here’s a look at five entrepreneurs who applied their own modern twists to the familiar. A couple of their ideas cleverly mine nostalgia from a business model or product widely considered to be unglamorous or outdated. Others tantalize with convenience and cost savings. Brittany Cobb, a 32-year-old mother of two, will tell you she’s a journalist at heart, with past writing jobs at The Dallas Morning News and DailyCandy, the New York-based style email newsletter. Her design clients, owners of some of Dallas’s most elegant homes, would dispute that notion and label her an interior decorator. But in this story about new takes on old ideas, she’s a CEO whose job includes event planning. Cobb grew up in Southern California, home to legendary swap meets and flea markets. In Big D, she missed those shopping experiences: exhilarating one-of-a-kind finds and bargaining with sellers in the spirit of Middle Eastern bazaars. 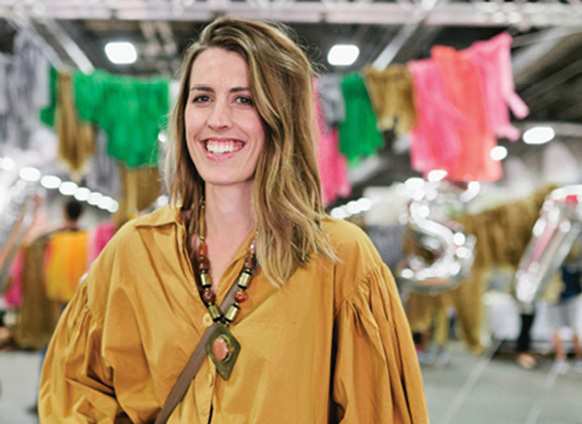 So in 2009, she founded The Dallas Flea, which she publicized as an upscale flea market. Those two seemingly paradoxical terms, when put together, immediately caught shoppers’ attention. Cobb curates each of the 250-plus vendors who sell their handmade or vintage items, including exquisitely refurbished leather cowboy boots, hand-painted purses, jewelry, local art and even pet accessories. The Dallas Flea’s mash-up of affordable, tasteful and unique merchandise buoyed its success. The one-day-long, twice-a-year event averages more than 10,000 shoppers who pay a $5 admission fee. But Cobb’s ambitions stretch far beyond Dallas. “We’re creating a brand. Something that’s not so city-specific.” The wheels are in motion. She changed the company name to FleaStyle because it’s less location-restrictive and already has executed a successful event in Houston. Currently focusing on e-commerce, Cobb has no definite plans to expand geographically but sees huge potential in Atlanta; Nashville, Tennessee; and Orange County, California. If everything goes as planned, FleaStyle will be the first nationally branded flea market. Matt Fiedler and Tyler Barstow’s record club started as just that: a club. You could call it a passion project between friends. 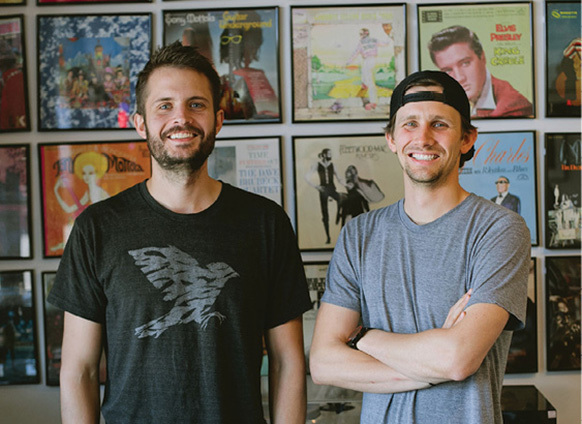 Now that their record-of-the-month club boasts more than 16,000 members, it has turned into full-time jobs for its co-founders. “It’s already grown to something much bigger than we ever thought it could have been,” Fiedler says. For a typical plan of $23 a month, the Colorado-based company sends each member a vinyl record pressed exclusively for the club, a 12-by-12 art print inspired by the album and a cocktail recipe that pairs well with the music. The package also might include lyric inserts. Every month, the music might represent any genre, but Fiedler says that while the process of choosing records “isn’t terribly scientific,” Vinyl Me, Please operates within three general categories. The first is special edition re-releases of what Barstow and Fiedler consider important albums such as Black Sabbath’s Paranoid or Wilco’s A.M. Another category is an emerging artist whose next album could vault the performer into the musical mainstream. Finally, there’s the totally unknown artist. Fancy editions of a well-known album are great, but theoretically one joins a record club to find new music, and Vinyl Me, Please is constantly looking for artists who have sounds worth hearing. Vinyl Me, Please appeals in three key ways. One, listening to a vinyl record while sipping a harmonizing cocktail results in a sensory experience that marries touch, taste and sight with sound. Two, while streaming music offers access, vinyl records provide tangible ownership, which for some equates to the difference between owning a piece of art and searching for it on Google. And three, Vinyl Me, Please delivers by mixing the nostalgia of a tactile album with the excitement of discovering new artists or revisiting groundbreaking music from the past. Halfway into a trip from Florida to Alabama to pick up tiles for his condo bathroom, Marc Gorlin was frustrated to receive a phone call that those tiles wouldn’t be available for another four days. When he pulled over on the highway’s shoulder to turn around, he was nearly hypnotized by the cars zipping by in both directions. “It just hit me that there’s somebody leaving everywhere, going everywhere else all the time,” he says. 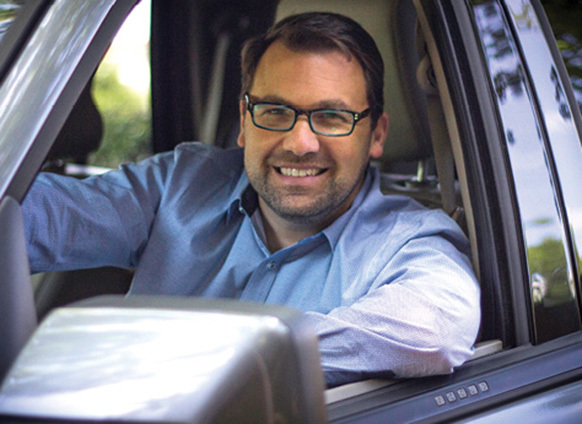 Gorlin ultimately became the founder and CEO of Roadie, an app that connects drivers bound for a certain destination with people who need something taken to that same destination. Need to transport baby furniture to your sister? Skip the drive. Want to send a jigsaw to your son? No need for a package or a trip to the post office or courier office. Just use the app to tell where your item is going and wait to hear from another user who’s heading there. “It’s almost an untapped natural resource in America,” Gorlin says. Roadie insures whatever you choose to send, big or small, up to $500. Additional coverage up to $10,000 can be purchased for an extra fee. Rates vary based on the size of what’s being transported and the distance it’ll be hauled, but Gorlin says you could ferry something from Roadie’s Atlanta headquarters 10 miles across town for about $10. Sending something as far as 100 miles will usually cost under $30, he says. Senders can track their packages on their smartphones. Being a Roadie driver is a sweet deal, too. Each contractor keeps 80 percent of the fee and—special perk!—will receive free roadside assistance for problems such as flat tires, running out of gas or batteries needing jumps. This support is available regardless of whether the driver is on a Roadie run when a problem occurs. At the end of the year, all drivers receive a list of the distances driven on their gigs and can write off all the miles as business expenses on their income taxes, even if they had planned to drive many of those miles before accepting the Roadie assignment. “Uber, but for…” is the beginning of the most clichéd pitches that investors have heard in recent years. Uber’s app-powered ride-hailing service differs from Roadie, Gorlin says, because Uber drivers are going out of their way to drop off customers while Roadie drivers typically make deliveries near destinations where they were already heading. Roadie is available nationwide. Like most crowdsourcing endeavors, its effectiveness will multiply as more participants sign on. Ultimately its success might come down to Gorlin’s philosophy that people want an excuse to help each other. “You’re literally being paid to be a good neighbor.” Saving someone a trip because you’re heading in that direction anyway is a practical, common favor that people do for one another. Roadie is trying to turn that philosophy into Americans’ first choice for shipping. Plenty of vehicle owners need their rides for errands and such, although they are actually driving far less as a result of ride-sharing, telecommuting and mass transit. Enter Metromile, pay-by-the-mile car insurance. The concept wasn’t new in 2011, when David Friedberg founded Metromile. Researchers and economists had written about and discussed its potential in the past. The problem was that the technology required for oversight was expensive and not readily available for consumers. The Pulse app solved that. Metromile links the app to a car’s existing diagnostic computer to track mileage. Those miles are the primary factor in setting the cost of car insurance for Metromile’s thrift-minded customers, who save about $500 per year over conventional insurance, company spokeswoman Lauren Hartung says. But Pulse isn’t a one-way street; the app also provides benefits to customers. Connected to a smartphone, the app can diagnose exactly why a vehicle’s check-engine light is on or alert a driver to certain problems that might need to be addressed by a mechanic. And the app’s GPS can easily locate a vehicle that’s stolen or lost (say, in a huge parking lot at an airport or a major sports venue). In a traditional insurance system, low-mileage drivers (rolling up fewer than 10,000 miles per year, according to Metromile’s definition) pay premiums that often subsidize high-mileage drivers and don’t accurately reflect the very low risk they represent because of their limited drive time. So how does Metromile target locations loaded with customers? Demographics point the way. The company initially launched in Oregon, a state known for environmentally conscious residents—folks who drive less to minimize their carbon footprints. And company headquarters are in San Francisco, where many commuters take public transportation. Metromile, with offices in Boston and Tempe, Arizona, is available in California, Oregon, Washington, Illinois, Virginia, Pennsylvania and New Jersey, but nationwide expansion is planned.